This event will take place from March 26-28, in Vancouver, Canada. This is North America's largest conference and exposition focused on the business of the environment. This iconic networking opportunity will gather close to 10,000 participants from more than 50 countries around the world. Participants will see more than 150 inspiring speakers and take part in 45 thought-provoking sessions across eight core themes and special tracks, plus many more workshops and special networking events. 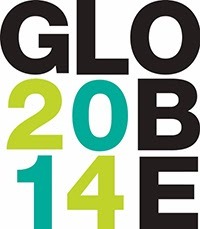 Participants at GLOBE 2014 will gain access to the world's greatest minds around the business of the environment. Speakers are A-listers from around the world, presenting GLOBE's best program to date. Corporate executives - you will not only meet your peers from around the world, you will take away insights on the policy and regulatory trends that will affect your industry for the coming decade. Gain insights that will give you competitive advantage and gather intelligence you simply cannot get anywhere else. GLOBE is North America's most important forum on corporate sustainability - period. In the face of sharp volatility increases across the global economy and proliferating signs of resource depletion, the call for a new economic model is getting louder. The circular economy is now gaining the attention of business, governments, and the next generation as a model to transform today's "take-make-dispose" economy into one that aligns business models with product and material design to decouple growth from resource constraints. Last month, the Ellen MacArthur Foundation announced Project MainStream, a collaborative initiative which aims to work with companies to tackle ways to enable the circular economy through materials management, information technologies, and business model innovation with the potential to generate US $500 million in materials savings and prevent 100 million tonnes of waste globally. Industrial symbiosis is another collaboration-based tool that works to keep resources in productive use for longer. The model, developed by UK-based International Synergies Ltd., is relatively simple; all resources used in industrial processes are redirected (whether previously used or just under-valued) and used as inputs by other organizations, typically from a different industry sector (read the GLOBE-Net article on industrial symbiosis). Jamie Butterworth, Chief Executive of the Ellen MacArthur Foundation, and Peter Laybourn, Chief Executive of International Synergies, will be joining many other industry leaders and sustainability experts at GLOBE 2014 to share strategic insights, develop collaborative partnerships, and participate in conference sessions and workshops dedicated to the circular economy. Thomas Carpenter, Managing Director, Sustainability Services, Waste Management Inc.
John D. Coyne, Vice President, Legal & External Affairs & General Counsel, Unilever Canada Inc.
China's Twelfth Five-Year Plan (2011- 2015) and other government policies have set ambitious targets for greener growth and greater social stability in rural and inland areas. Repairing China's damaged waterways, agricultural lands, and improving air and water quality in major urban areas, the costs of which are estimated at over $400 billion, are straining the resources of national and state authorities. The renewable energy and cleantech ecosystem in Canada is one of the strongest in the world - supported by academic innovation hubs, government programs and incentives, and strong public and private funding models. Join representatives from the Toronto Stock Exchange for a discussion on how (and when) cleantech companies can use public markets to raise equity capital. Save $300 if you register by March 4.